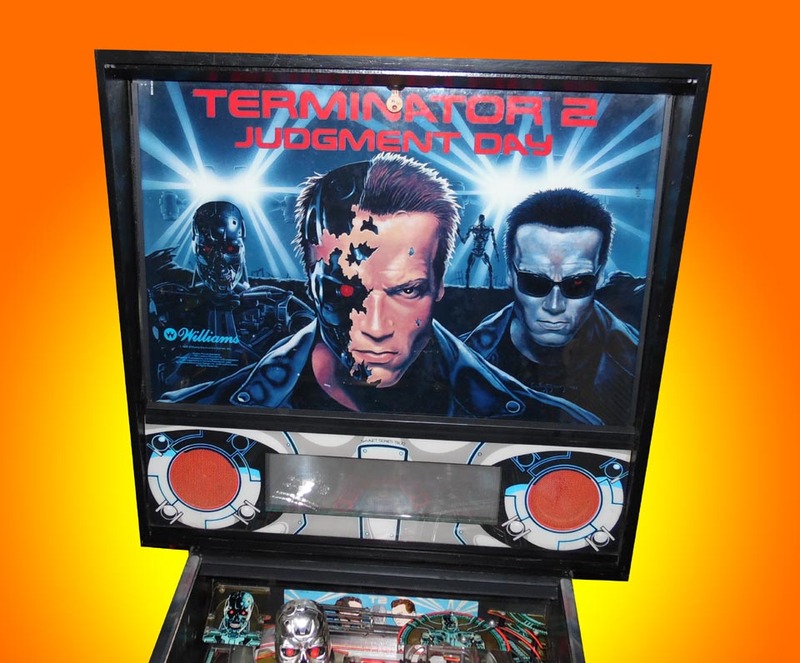 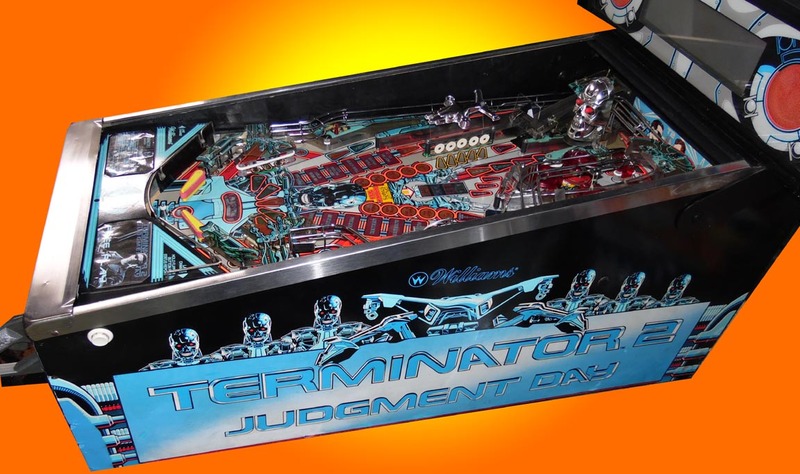 A pinball based upon the Arnold Schwarzenegger blockbuster! 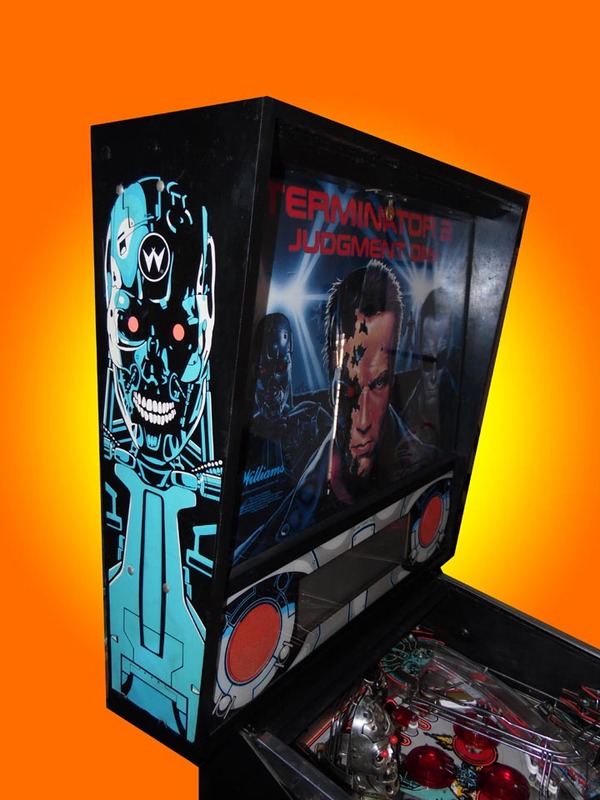 This machine feature a gun for a shooter to launch the ball, and Vertical Up-kicker under skull kicks the ball through a habitrail to the cannon on the right side of the playfield. 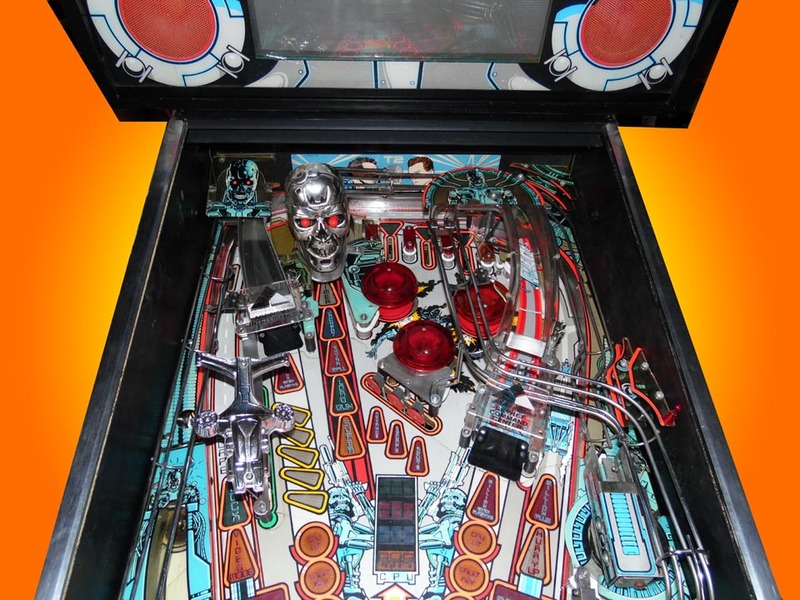 Cannon then oscillates allowing player to aim for any of five targets on left side of playfield. 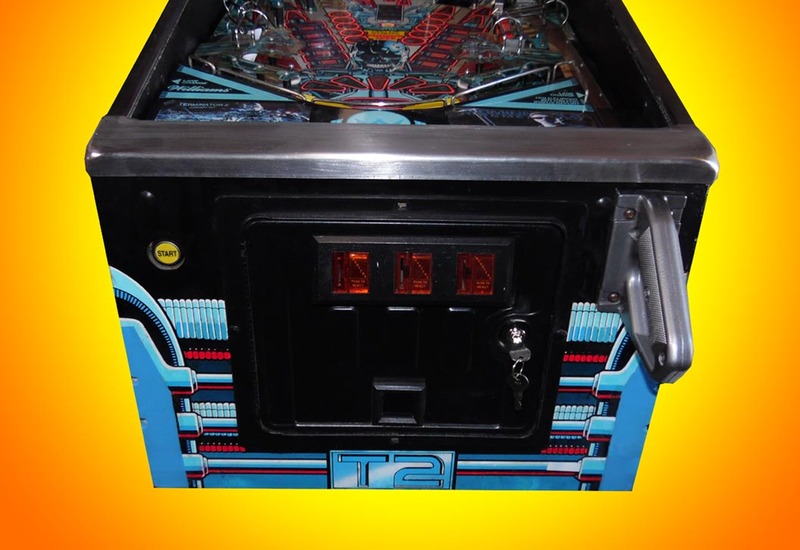 Pulling trigger on shooter gun fires cannon. 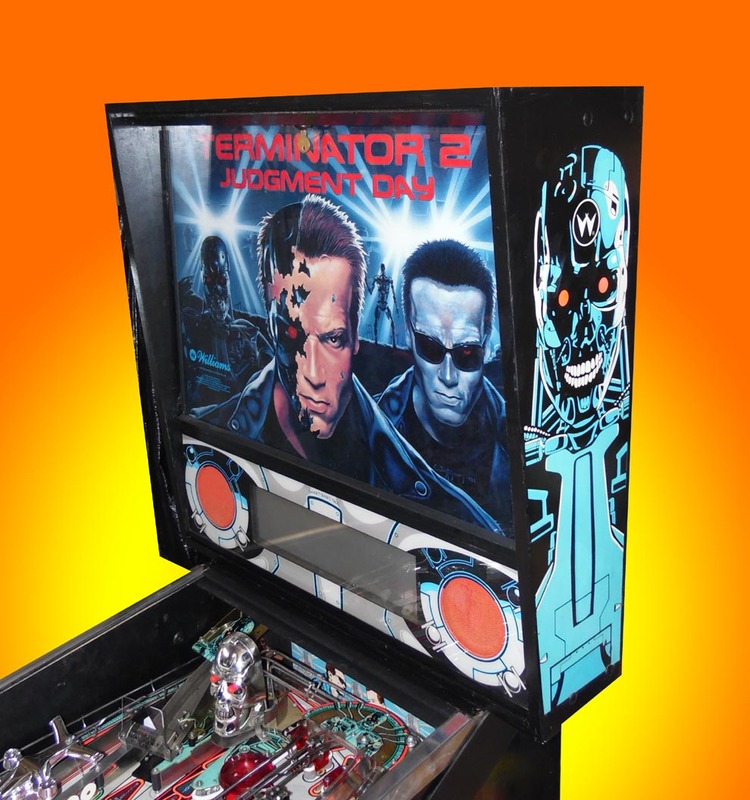 This machine also feature a Hunter Ship, and Terminator Skull. 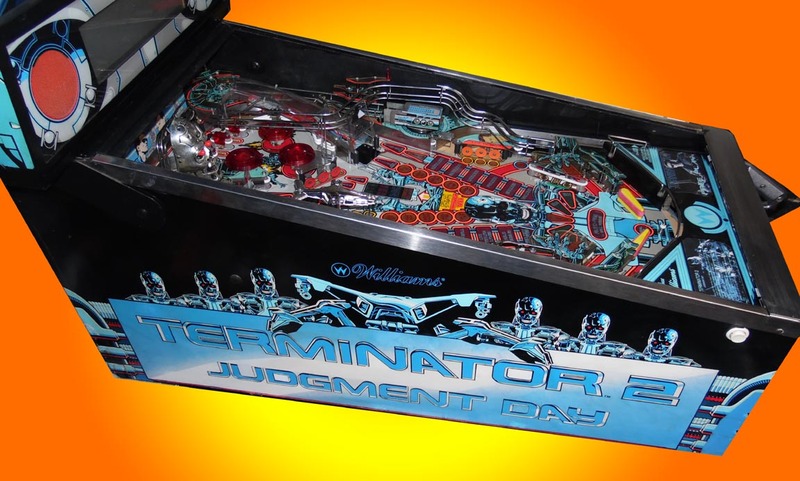 We have this pinball in very good shape. 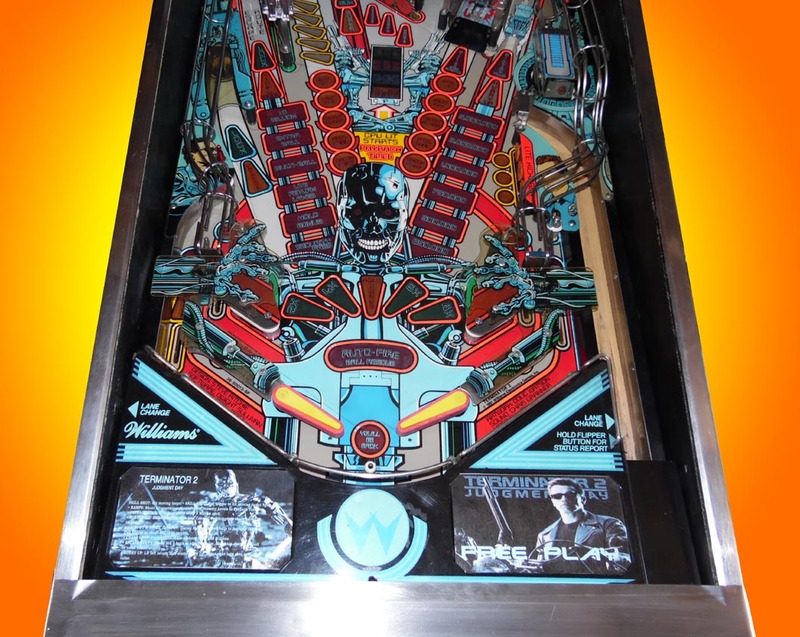 Hard to find one this nice.